As most of our readers know, my son Sam is an aspiring movie writer/director and a HUGE movie fanatic. In fact, he writes most of the movie reviews on our blog. 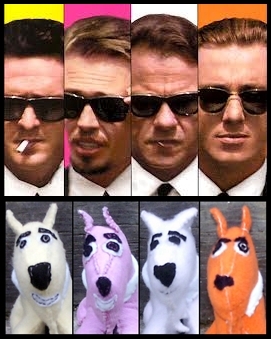 Quentin Tarantino is his all time favorite director so I decided to make Sam a set of Reservoir Dogs. I think they turned out pretty cute. So, I made a few, slightly bigger ones, for sale. 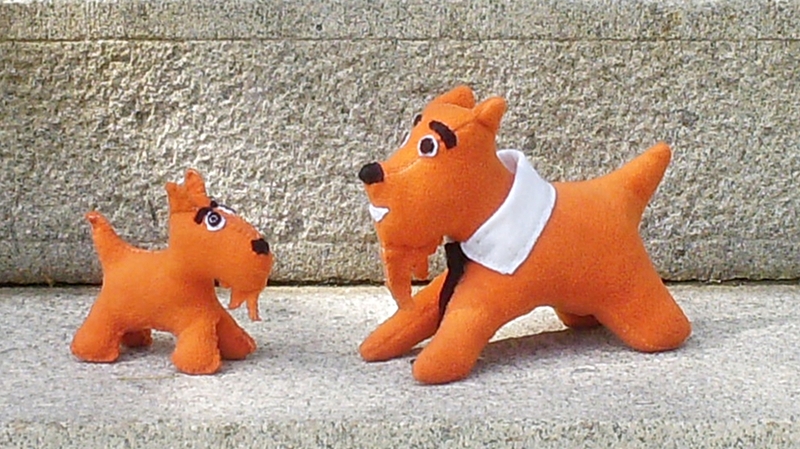 Mr. Orange, the Super Secret Undercover Scotty Dog loves Tarantino movies starring his favorite actor Tim Roth. He’s a handsome fellow with an engaging smile and luscious locks. This little dog can tell the truth from a lie in the blink of an eye, is always dressed to impress and will have your back in a zombie invasion. This handsome puppy is completely handmade from recycled materials. Love the look of Mr. Orange but want him in a different color? How about a different size? We can do that. Just send along an email to coordinate. I love experimenting with fabric and coming up with new designs. Click here to visit the Green Carbon 2112 shop and see what other animals are looking for a good home.